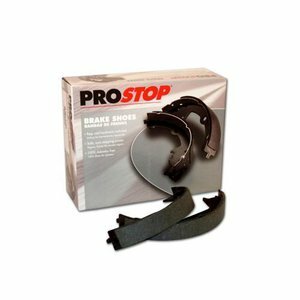 ProStop brake shoes offer safe, sure stopping power at an incredible price, with application specific formulation. Hardware, pins, and levers are included where applicable. The Pep Boys Say: "This shoe is the safe economical choice for the customer who wants similar braking performance to the new car."